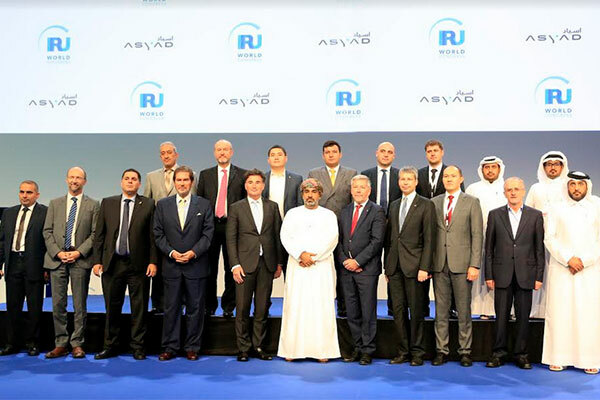 The IRU World Congress, an event of the world road transport organisation, concluded today (November 8) in the Omani capital with the signing of the Muscat Compact, a roadmap for the future of road transport, mobility, trade and logistics. As a principle-based framework for cooperation, it will bring the industry together to take control of its future by using innovation to overcome current challenges and uncertainty. The Compact was discussed in a closed ministerial dialogue, examining how governments can work better with transport operators in supporting trade facilitation, building human capital, decarbonising and supporting innovation. Governments from 25 countries came together to plan a course of action to achieve industry objectives and global goals, notably as set out in the UN 2030 Agenda for Sustainable Development and the Sustainable Development Goals (SDGs). The Muscat Compact was presented during the closing session by Emil Kaikiyev, Minister in charge of Energy and Infrastructure of the Eurasian Economic Commission, who called for collaboration between the public and private sectors in taking transport, trade and mobility forward. The Compact was one of many positive outcomes of the three-day global event, which saw global decision-makers come together to support transport operators in boosting trade facilitation, good regulation, digitalisation and intermodal efficiency. In addition, Mwasalat, Oman’s national transport company, signed a memorandum of understanding (MoU) with Busworld, the biggest and most experienced bus and coach exhibition in the world, to host the event in Muscat in 2021. The round table sessions focused on autonomous road transport, responding to new challenges in urban mobility, and reaping the benefits of innovative practices that can generate new revenue streams and optimize resources. “After three decades of globalisation, many companies expect their supply chains to shorten in the years ahead. But while some manufacturing processes will migrate ‘closer-to-home’, speeding the shift towards regionalisation, numerous well established and finely tuned supply chains will remain in place, adapting to serve expanding local markets. For businesses, supply chains may be shrinking, but the era of complex supply chain ecosystems is still far from being over,” said author, logistics expert and lecturer Mark Millar.